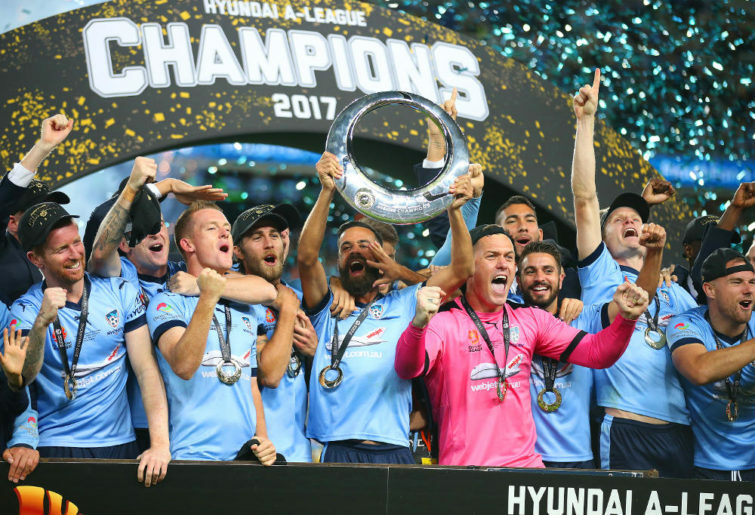 Whatever the merits of a top-six final series in a ten-team competition, the number of teams who make the A-League play-offs is unlikely to change now, with the impending addition of two more teams in the next two seasons. In 2013, with little fanfare, the A-League changed the format for their top-six series. Previously, the top-six series followed this process. Teams ranked No.1 and No.2 played a home-and-away tie, with the winner hosting the grand final. The other four sides played a No.3 vs No.6 and No.4 vs No.5 game with the highest ranked team hosting the tie. The winners of those games played each other, and the winner of that game played the loser of the No.1 vs No.2 tie for the other place in the grand final. It sounds complicated in the reading but actually followed a reasonably symmetric format to get down to the grand final. The 2013 format change did away with any second chances and reduced the finals series by a week. Now, the top two teams have a week off and the other four sides follow the same format as previously. However, in the second week, the lowest-ranked winner from the first weekend plays the premiers, and the highest-ranked winner plays the team that finished second. The two winners from that week go on to the grand final. Back in 2013, then-Central Coast Mariners coach Graham Arnold protested the change, saying that it gave no advantage to the teams finishing first or second. He repeated those complaints in 2018 when guiding Sydney FC. He’s absolutely right. The top two get rewarded – if that’s the right word – with Asian Champions League qualification the following season, but retain no ‘double chance’ advantage that became the feature of the play-off series, whether it involved four, five or six teams. The new format eliminated the possibility of teams ranked No.1 and No.2 playing each other three times in a four-week finals format. Mind you, no-one complained much about that when Central Coast and Brisbane played three epic contests in 2011, culminating with that grand final in Brisbane when the Roar scored twice in the last three minutes of extra time to draw 2-2. Nor were there too many grumblings in 2010, when Sydney FC and Melbourne Victory locked horns three times, with the Sky Blues ultimately triumphing on Victory’s home ground in the decider, again via a penalty shootout. The current finals series ensures there is no possibility of a repeat game anywhere in the format. It does throw up the possibility that teams five and six could conceivably meet in the grand final, whereas the previous incarnation of the play-offs ensured that one of the grand final slots had to go to first or second place. However, the revamped finals series has – for the past five seasons – created a logistical nightmare for the A League. From 2006 to 2012, finals organisers knew that the grand final could only be played at two possible different venues, with the ground size caveat coming into play in 2008, when Central Coast won the right to host the decider but their stadium was not deemed large enough, so the game against Newcastle Jets was moved to the Sydney Football Stadium. With the change came the head-scratching possibility that any of the top five teams could end up being grand final hosts, with the ultimate grand final venue now not being finalised until a week before the match itself. News reports today suggest that the A-League have provisionally booked grand final venues in Sydney, Melbourne (both AAMI Park and Marvel Stadium), Perth, Adelaide and Wellington for the weekend of May 18 and 19. That sounds awfully messy. It’s a lot of sports ground real estate to reserve for the A-League showpiece. Even as late as the week before the grand final, the game could go to any one of three different venues. If the top four as it stands now in Round 22 end up being the final four in the play-offs, Perth Glory would host Wellington Phoenix and Sydney FC would host Melbourne Victory, with only Wellington being statistically unable to host the grand final. The A League is fortunate that there is now a five-point gap between sixth and seventh place. If the Newcastle Jets hadn’t been shocked by Central Coast last weekend, they’d be two points outside the play-offs and only four points adrift of Melbourne City, which would probably have necessitated that Newcastle’s stadium was also provisionally booked. And the Jets are not out of the finals race yet, so will the league be forced to look at McDonald Jones Stadium’s availability if City and Adelaide falter and the Jets surge in the coming rounds? I wonder how costly this exercise is, the assumption being that reserving Perth’s Optus Stadium, Melbourne’s Marvel Stadium and AAMI Park, the Sydney Cricket Ground, Adelaide Oval and Westpac Stadium in Wellington wouldn’t be done with a handshake and a ‘don’t worry if you don’t need us come mid-May’ deal. Would it be perhaps wiser to return to the previous format where the grand final venue is known two weeks in advance and by the end of Round 27, a month before the grand final, can only occur in two venues? That’d at least make Arnie happy. It might also eliminate the situation that occurred at last year’s grand final when tickets to the Newcastle Jets vs Melbourne Victory game in Newcastle sold out so quickly that thousands of Jets members missed out on securing seats. The grand final is the most-watched game of the season and it crowns our champions. Perhaps it would be better if the league had a two-week window to promote the venue as well as the game.